Are you one of those guys or gals that likes it … complicated? If you answered “yes”, then read on. If not … read on anyways, you’re already here. 1) Calculate the total value of the horde’s coins, roll a random coin type for each metal (or two or three, whatever you like), and translate the value into the number of coins. I included three values, one for OD&D (10 coins per pound), one for d20 (50 coins to the pound) and one for a more realistic 100 coins to the pound. Example: You generate 1,000 cp and you’re playing OD&D (i.e. 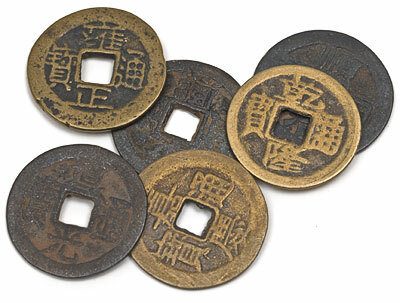 10 coins to the pound). You roll up the Roman Sesertius as your historic copper coinage, which are worth 1/3 a copper piece each, thus the horde consists of 3,000 copper sesterius. 2) You roll up the number of coins, and then roll randomly to determine what kind of coin was found. 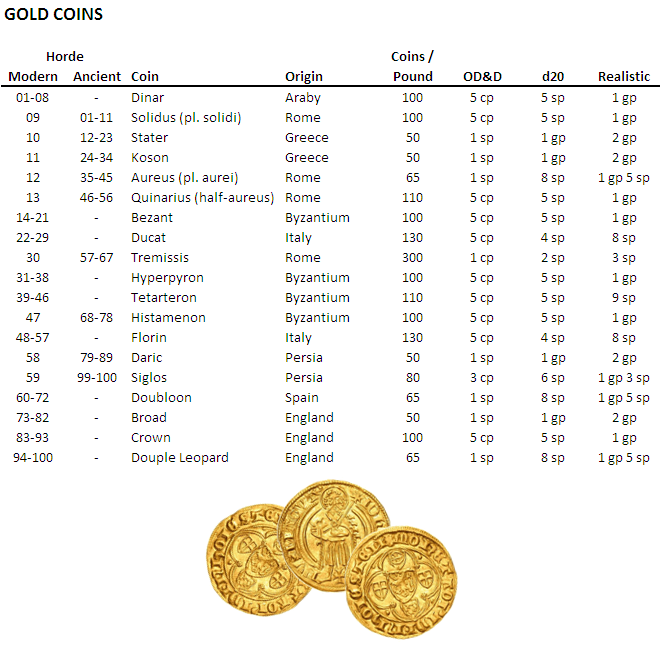 Example: You roll up 300 gold coins (gp) and then roll randomly to determine they are Italian ducats. You’re playing d20, so 300 ducats is actually worth 1,200 sp, or 120 gp. See – your players will be pissed. On the other hand, if you’d rolled up Spanish escudos, the horde would be worth 1,500 gp. Without further ado … the tables. If you want to annoy the players a bit more, you can roll to see how debased the coinage is … but I wouldn’t suggest it. Of course, if you’re using the notion that your fantasy world is built on the ruins of a “modern” world, then the ancient coinage would be made up of krugerrands, yen and buffalo nickels. 1. Compacted Cubits: A compacted cubit is a full ton (2,000 lb) of silver dust stuffed into an extra-dimensional space sealed inside a tiny cylinder (coin shaped) of force. They look like grainy, silvery coins but feel perfectly smooth. God forbid you have a few of these in your backpack when somebody casts dispel magic. Depending on how you value coinage, a compacted cubit is worth 20,000 sp or 200,000 sp. And yeah, I know a cubit isn’t a measure of weight. You can blame Battlestar Galactica. 2. Soultaker: Appears as a blank, gold coin. 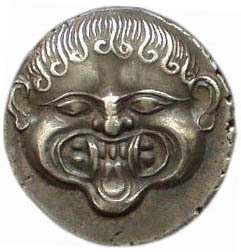 When pressed on the forehead of a recently dead body, it absorbs the person’s soul and their image appears on the coin. 3. Dragon Tokens: Dragon tokens are wooden coins that are steeped in the blood of a freshly slain dragon and then coated with wax to keep the draconic goodness locked inside. Value depends on how much you value dragon blood, but probably not more than 10 gp. 4. Token of Friendship: A tarnished brass coin. Creates a vague emotional connection between you and the person who presented it to you – i.e., you know when they are frightened, happy, etc. The coin can summon the person bodily to you if you call out their name while holding it. 5. Platinum Cone: A small platinum cone, worth 2 pp. 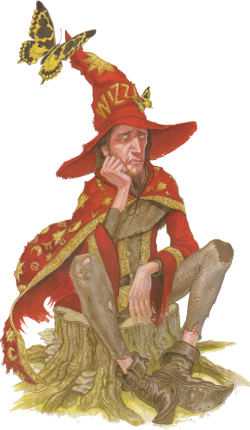 When the tiny end is held to the ear it implants a random magic-user spell (level 1d3) in your head, making you capable of casting it if not wearing armor. There is a 1 in 6 chance that the spell is actually reversed, or just not what you thought it was. 6. 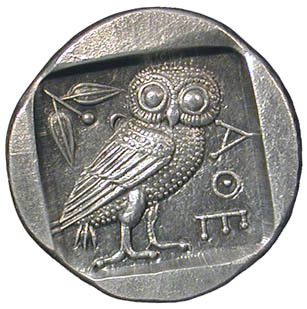 Pennywise: A copper coin bearing the image of an owl. It increases one’s Wisdom score by +3 (to a maximum of 18), but makes that person very tight with money. 7. Golden Rad: Radioactive gold coinage, with all that radiation brings (poison, mutation – depends on your campaign). Each coin has a 1 in 20 chance per month of transmuting back to lead. 8. Silver Sylph: A silver coin with a hole in the center. If one blows through the hole, the coin produces bubbles of perfume, with a 1% chance of instead producing a sylph. You have no control over the sylph, and if you dragged her away from something important, she might be quite cross with you. 9. Gold Spiral: Gold coin with a spiral design, it can absorb one lightning bolt (no save needed) and then discharges it one hour later. While holding the charge, the holder is immune to electricity. 10. Corpse Coins: Copper coins. If placed on the eyes of a corpse, they completely stop decay. If held over a single eye of a living creature, it makes them invisible to corporeal undead. 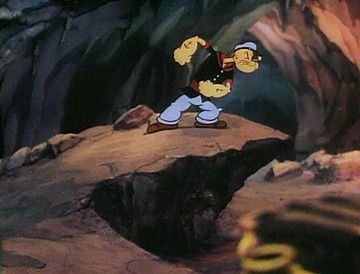 Of course, one could hold coins over both eyes, but they’d probably run into things. Those of you who use the Swords & Wizardry rules probably know that the guidelines for treasure allocation stipulate that there is a 10% chance (i.e. a roll of 10 on 1d10) that coins will be swapped out for gems, jewelry or magic. In general, I love these rules because magic, gems and jewelry remain fairly rare. However, I do feel as though this system leaves out many alternative forms of wealth, i.e. goods. I’m no stickler for realism in my games, but piles and piles of gold coins do stretch plausibility pretty far, and can become pretty boring. Coins were pretty rare things for most medieval folk. In an inventory of one of Charlemagne’s smaller estates, for example, one comes across a mere 13 shillings and large numbers of livestock, household goods, grain and cheese. 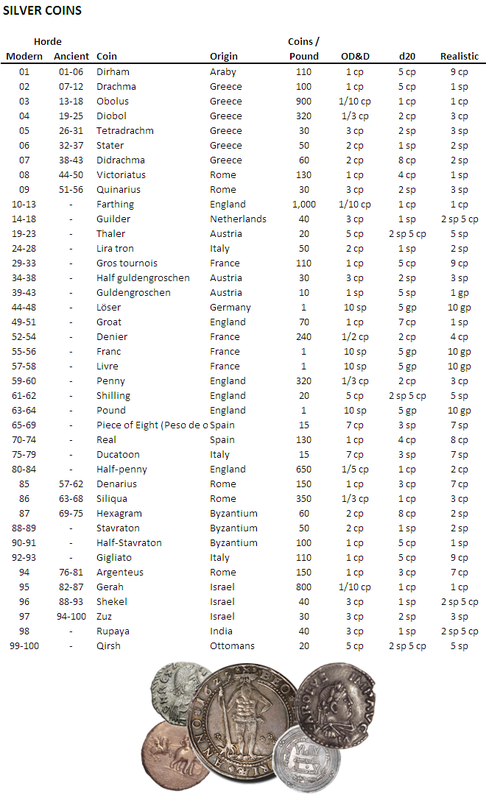 For this reason, I began swapping out coinage for trade goods on the roll of “1” on 1d10, using the following guidelines for amounts and values. I went ahead and organized the information so one could randomly determine the goods found. Feel free to change values, especially if a particular item is either rare or exceedingly common in a particular region. When adventurers try to sell these trade goods, you can simulate price fluctuations by rolling 1d6, with a 1-2 meaning half the normal value and a 5-6 meaning double the normal value. Obviously, this can also be used for determining the contents of a caravan or merchant cog. I think the fun of using these items is that they challenge player’s assumptions. Most players are keyed in on the shiny stuff, so they’ll have to think a bit to avoid passing over something valuable like pimentos. Of course, some might see this as a dirty trick, and they might be right, but I figure its no dirtier a trick than a mimic or collapsing staircase. If you want to bypass some of the larger logistical headaches (i.e. several tons of raw wool), then just use the last 20 or 30 items on each list. 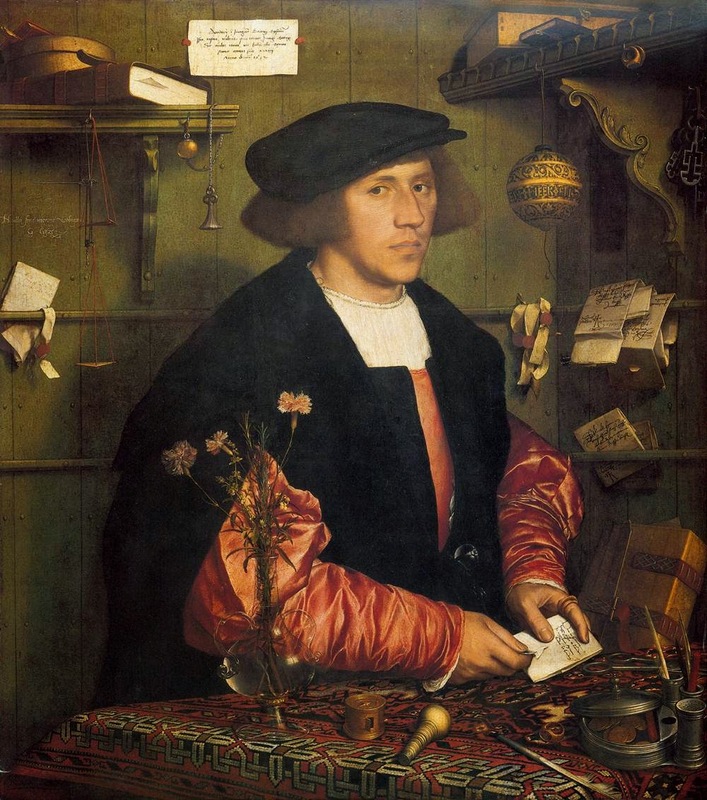 Image of wine merchants from Economic History Blog. Clay Tablet: A tablet made of clay (terracotta) and either fired in a kiln to make it permanent, or simply erased if to be recycled. Writing on a clay tablet was done with a reed using cuneiform characters. A typical, large tablet weighs 15 pounds. Clay tablets cannot holds spells of more than 1st level. Bamboo Scroll: A bamboo scroll is a collection of long, narrow bamboo slips joined together with thread. Each slip can hold dozens of pictographs. When joined together, the slips can be rolled like a scroll. Because these scrolls were heavy, they were replaced upon the invention of paper. A typical scroll weighs 10 pounds and can hold any level of spell, with such spell scrolls weighing 2 pounds per spell level so inscribed. Papyrus Scroll: Papyrus is a thick, paper-like material produced from the pith of the papyrus plant, a wetland reed. Papyrus was cheap, but could not be folded, and thus had to be used in large, heavy scrolls. Papyrus is fragile and susceptible to damage from moisture and dryness, and it presented an uneven surface for writing unless of the very highest quality. Papyrus was abandoned for parchment by the 12th century, with Papal Bulls being some of the last things written on papyrus. Papyrus is manufactured by stripping the outer rind of the stem and cutting the interior into strips. The strips are laid side by side, horizontally. Another layer is then added atop the first, placed side by side vertically. While still moist, the two layers are hammered together. The sheet is then dried under pressure. After drying, the sheet is polished with a stone, shell or piece of wood. A typical scroll is assumed to weigh 25 pounds, with much of the weight coming from the rollers. Scrolls can hold spells of any level and should weigh approximately 5 pounds per spell level. 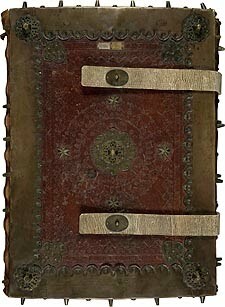 Book: A typical medieval book weighed between 40 and 165 lb. The Codex Gigas, for example, was 3.2 feet long, 20 inches wide and weighed 165 pounds. A rare Hebrew manuscript contained 1,042 pages and weighed 57 pounds. Given these dimensions, we can pretend that a basic book weighs 0.5 ounces per page, while a large tome weighs twice that much and provides twice as much surface for writing. A sheet of paper or parchment was called a bifolium, being a single folio folded in half to produce two leaves. Books were often bound between two thin sheets of wood that were covered by leather. When books were rare (i.e. before the printing press) they were often chained to desks. Parchment: Made from the skin of sheep, goats, deer and other animals. The parchmenter begins the process by selecting a disease and tick-free animal. The animal’s skin is washed thoroughly and soaked in a vat of water and lime for about a week, stirring several times a day with a wooden pole. The pelt is removed and laid over a curved, upright shield of wood. The hair is scraped out using a long, curved knife with a wooden handle on each end. The dehaired pelt is then rinsed in cold water for two more days to remove the lime. The skin is dried while stretched on a frame. The skin is secured to the frame by pushing pebbles into the skin every inch or so to make knobs, to which strings were tied. It was not uncommon to see holes in finished parchments where tiny tears made in the scraping process were stretched out in the stretching process. The parchmenter now ladles hot water over the stretched skin while scraping with another curved knife called a lunellum. The parchment is finally allowed to dry completely, shrinking and tightening as it does. Once dry, the scraping begins anew. Finally, the parchment can be removed and rolled up for transportation or sale. A scribe would purchase the parchment in this condition, cutting it to his desired size and buffing it before use with chalk. Parchment sheets were usually sold by the dozen. Vellum: High quality parchment made from calf skin. Paper: Made from plant pulp, fibers, rags or cellulose. Paper is cheaper than parchment, but not as long lasting.